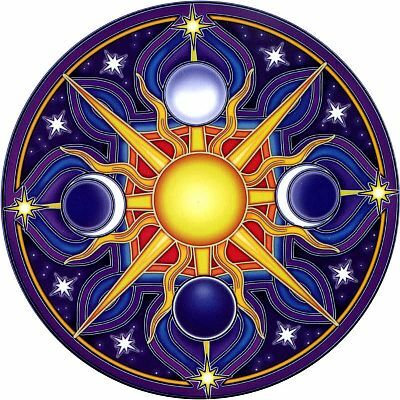 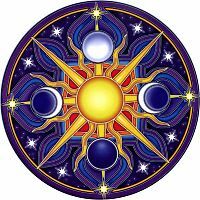 - A blazing golden sun framed by the phases of the moon is at the heart of this unusual mandala. 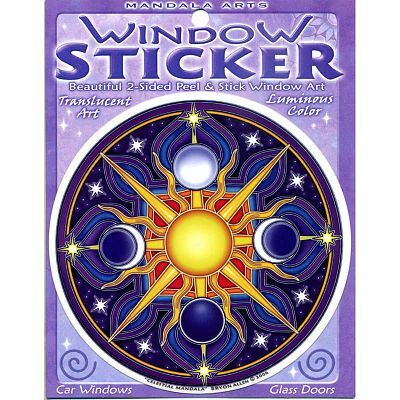 Bring any window to life with this luminous window sticker. Do you have any other questions about our Celestial Mandala Window Sticker?